Today is a sad day. Hugo is gone. I logged on to DayZ to carry on my adventures only to be greeted by the stupid smug face of a fresh spawn bambi! DAMN YOU DAYZ! Damn you to hell! What happened to Hugo, I will never know. But what I do know is that we had some great times on the 30km trek across the Chernarus countryside. Sure it wasn’t the most adrenaline filled life, but that’s how Hugo rolled. He liked to live life close to the edge, not quite on it. He was a mild mannered man, quiet, respectful of others. He had a kind heart as shown when he saved John McCheese from what was most likely certain death. He could have murdered the mystery man at Green Mountain, but he took the high road, and let him live. He just wanted to make some friends, now that dream has been torn out from under him. Hugo only exists in our memories and the digital heaven – I’m sure he would have gone to heaven! So what next? Where do we go from here? There are rumours that Hugo’s cousin will travel to Chernarus to search for him, and continue on with a new series. 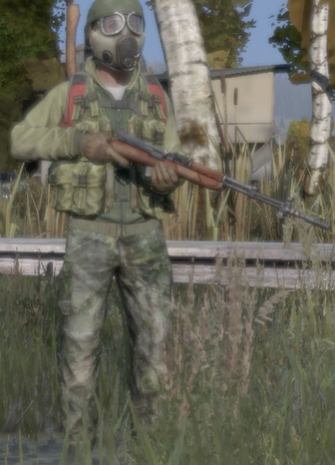 Basically I had a blast playing DayZ and writing the diaries, and still am, and I was thinking of carrying on with a new character in the same vein as the first, but just as a season 2. I don’t know if I will start it straight away, but keep your eyes on the site for updates. What would you like to see from a second season? Hugo, you will be missed!